Tribal welfare complex is a multi-purpose hall/enclave which can be use for different activities/purposes such as recreational parks for children and older persons, community hall, conference hall, office accommodations etc. Facilities at tribal complex : Conference Hall, community Hall, recreational parks, library, audio-visual room, distance education & E learning through internet facilities, games and recreational sport facilities for children and older persons, office accommodations, and other allied services. To safeguard and preserve the identities of tribal populations by inculcating pride among the constituent groups of their rich cultural heritage and to uphold the tribal ethos. Create facilities for tribal folk to showcase their indigenous artefacts, handicrafts and handloom products. Provide platform for the local people to display their tribal dances and native sports and other activities. To provide a healthy, joyful environment for children to play, the youth and elderly members of the community to relax, read, learn and interact. Provide suitable opportunities for recreation and leisure so as to wean away the youth from the path of violence, immorality etc…and create a conducive atmosphere to divert the restless youth to more constructive and meaningful activities. Facilitate career counselling and vocational training for the tribal youth by involving the NGOs, allied departments, specialists etc, conduct workshops and seminars to enhance capacity building. Inculcate a sense of work ethics and dignity of labour, sense of accountability and to contribute to the tribal community as a productive member with the long term view of fostering the traditional, cultural and ethical values of our tribal forbearers. The following activities are proposed to be taken up at the tribal complex. Display of various tribal artefacts like costumes, handloom, handicrafts, tribal ornaments. Hold seminars and workshops relating to tribal heritage as well as related subjects. Organise cultural programmes to showcase indigenous dances and tribal musical instruments of Nagaland including other NE States as well as other communities of the country. Training in various community based activities, vocational trades, handicraft production etc. including options and career guidance for youth. Organise youth camps for generation of awareness on various subjects like HIV/AIDS, drug abuse and alcoholism etc. Fun recreational activities penny-farthing cycle, roller-skating, trampoline, pogo sticks for children and indoor games like table tennis, snooker/billiards, pool, chess etc for the older. ‘Kids Fests’ for children where kids will have the opportunity to play games, listen to outstanding music, and participate in activities all around the park, concerts at amphitheatre and performance theatre. Facilitate access to the internet, interactive distance ‘e’ learning for the benefit of the youth etc. 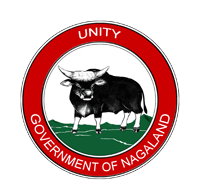 THE DEPT OF SOCIAL WELFARE, GOVT OF NAGALAND HAS SO FAR ESTABLISHED SIX (6) NOS OF TRIBAL WELFARE COMPLEX IN THE DIFFERENT PARTS OF THE STATE.